TRI services s.r.o. 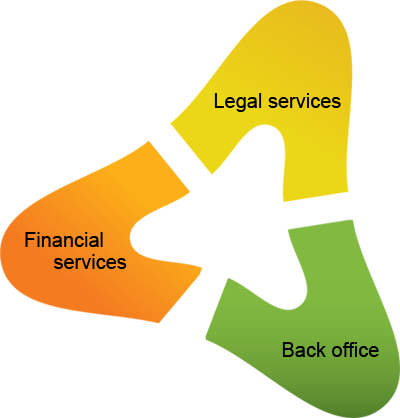 is a consultancy company offering financial, legal and back office services to companies in the Czech Republic and Slovakia. Our goal is to offer clients comprehensive services for solving all problems related to the running of your company and business. In our portfolio you do not only find services such as accounting, economic and legal, but also for instance purchase management, all for an effective price.